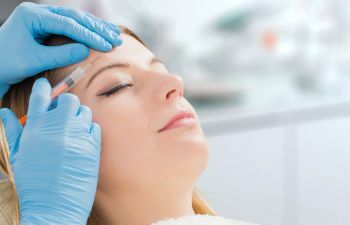 When it comes to moderate to severe frown lines, crow’s feet and forehead lines, adults from all walks of life turn to the #1 selling treatment of its kind—Botox Cosmetic. As the only FDA-approved treatment that diminishes the appearance of facial lines, the beauty of Botox is that it provides predictable, subtle results that refresh and restore the natural look that people desire. Backed by 15 years of clinical studies, Botox Cosmetic is the iconic brand trusted by cosmetic and plastic surgeons across the nation. Many factors cause facial lines and wrinkles to appear, some of which include the reduction of collagen, the build-up of free radicals, sun damage and constant exposure to the environment. Others include repetitive facial movements such as squinting, frowning or raising the eyebrows. Over time, the combination of factors forms seemingly permanent lines in several areas of the face—frown lines, crow’s feet and forehead lines. To combat the appearance of lines and wrinkles, Botox works beneath the surface of the skin by reducing the muscle activity that contributes to facial lines. Even for moderate frown lines that have caused the skin to fold between the eyes can be dramatically reduced following treatment with Botox Cosmetic. Is Botox Cosmetic Right For Me? As a technique-sensitive treatment for fine lines and wrinkles, Botox Cosmetic is generally suitable for adults with moderate to severe facial lines. Even so, Allure has reported an influx of younger patients (mid-20s) opting for preventative treatments sooner than later. Thus, if you’re wondering if Botox is right for you, the answer is—yes, maybe. It’s wise to consider an individual’s predisposition to developing wrinkles, and if they already have them, it’s important to study the dynamic of those wrinkles in order to determine if Botox is the best treatment. When patients want to eliminate fine lines and wrinkles, The K Spa in Atlanta welcomes them to experience superior results using Botox Cosmetic. Founder and owner of The K Spa, Dr. Benjamin Stong is a double board certified facial plastic surgeon, renowned for his artistry and skill in facial rejuvenation. For a rewarding experience in a state-of-the-art facility, call The K Spa today.